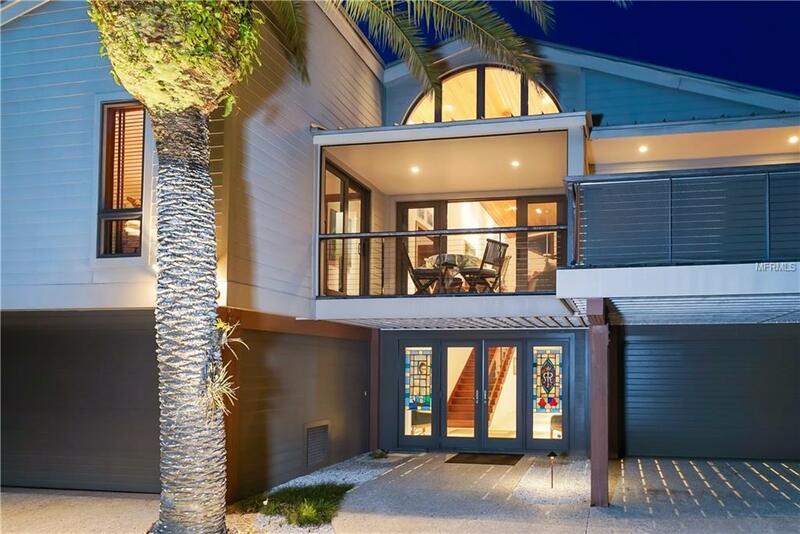 The contemporary design and secluded location of this direct bayfront residence creates an ideal, move-in ready environment. 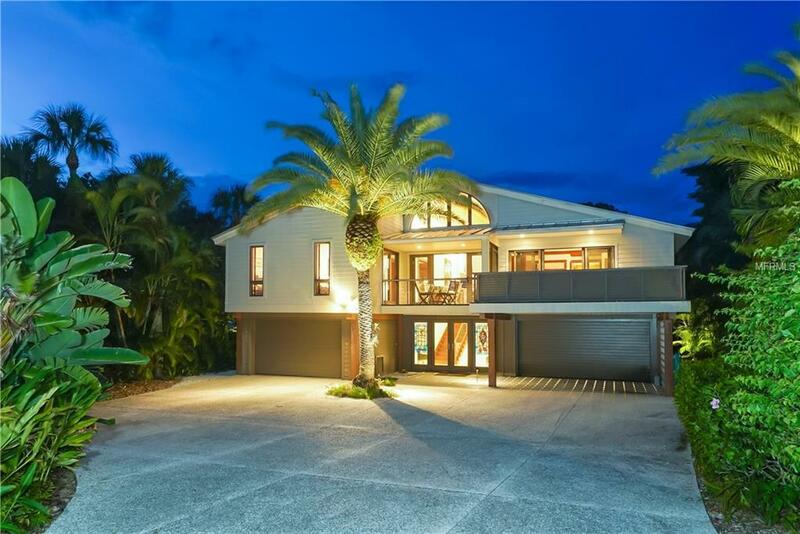 Surrounded by tropical, Florida-sourced vegetation and located at the end of a private cul-de-sac, every aspect of this elevated home was completely renovated from 2001 to 2003. Beautiful features include exterior Cemplank siding, durable IPE wood decks, plus an upgraded interior featuring Brazilian cherry wood flooring throughout, Andersen impact windows and sliders encased in solid wood, Cypress tongue-and-groove ceilings, LED lighting, partial-house generator, gas tankless water heater and rooftop terrace. 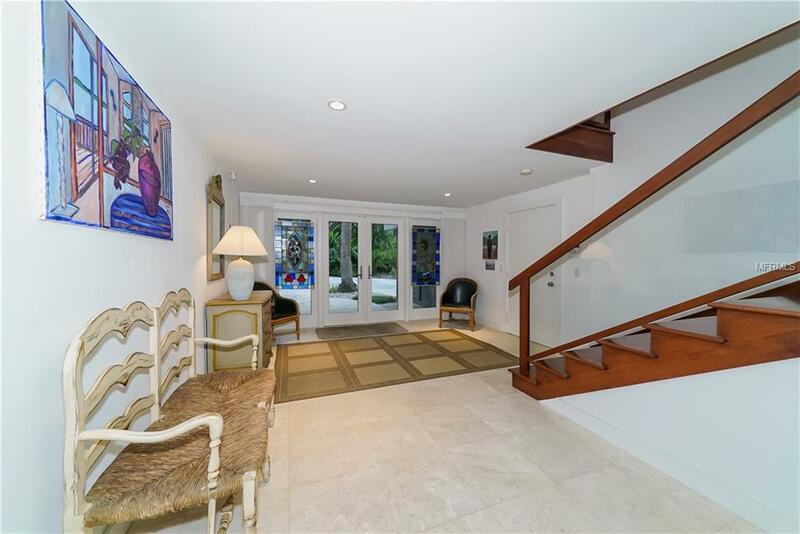 From the glass double-door entry, up a wooden staircase with glass railing, you are immediately greeted by breathtaking panoramic bay views and a modern, open concept. The living room offers cathedral ceilings and gas fireplace wrapped in floor-to-ceiling Travertine. A few steps away are the dining area and the cooks kitchen with its checkered marble flooring, cherrywood cabinetry with glass cutouts, granite countertops and stainless-steel appliances. The generous master retreat features access to two private terraces, while two guest bedrooms (one being used as a den) share a bath across the hall. 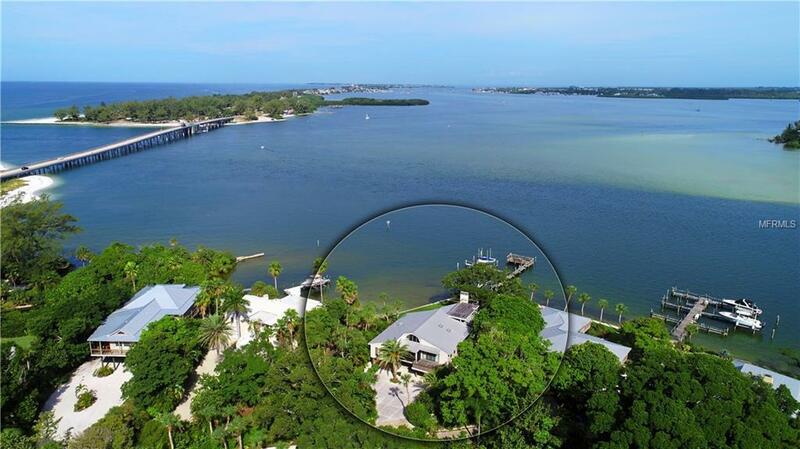 Lands End is a gated enclave on Longboat Keys north end. Comprised of only 12 custom-built homes, residents enjoy access to community tennis courts, heated swimming pool and boat dockage with shore power and water (owners are allowed to add a private lift at their own expense).